CRAZY COOL GROOVY!!! : #BLACKGIRLMAGIC #BLACKGIRLSROCK - SLOANE STEPHENS WINS 2017 U.S. OPEN On SPORTS ILLUSTRATED MAG!!! #BLACKGIRLMAGIC #BLACKGIRLSROCK - SLOANE STEPHENS WINS 2017 U.S. OPEN On SPORTS ILLUSTRATED MAG!!! CRAZY COOL GROOVY CONGRATULATIONS goes out to Chocolate-Covered 24-year-old SLANE STEPHENS for on Saturday, September 9, at ARTHUR ASHE STADIUM in QUEENS, NEW YORK CITY, NY defeating MADISON KEYS in straight sets 6 -3, 6 - 0 to win the 2017 U.S. OPEN WOMEN'S SINGLES CHAMPIONSHIP!!! 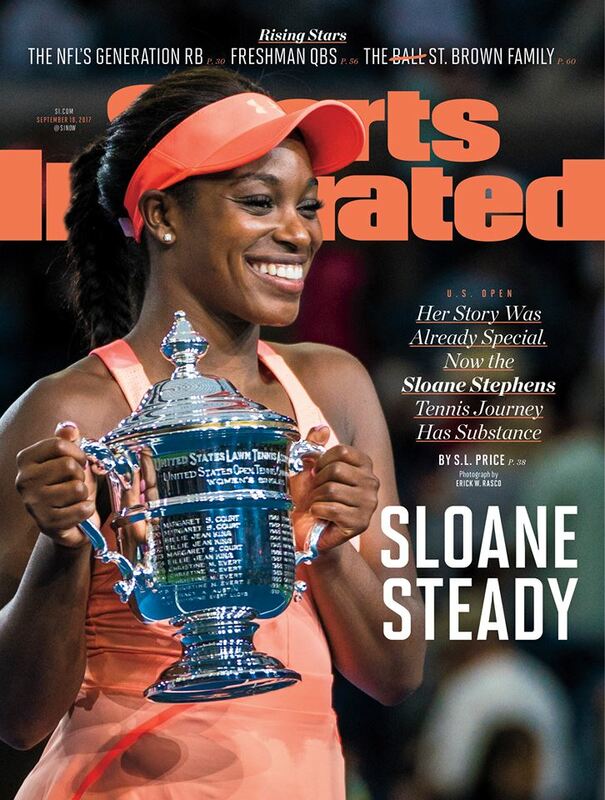 For her magnificent feat, PLANTATION, FL native SLOANE STEPHENS covers the new issue of SPORTS ILLUSTRATED Magazine.